The story of Badrinath ki Dulhaniya starts from Jhansi, where our hero Badrinath (Dhawan) lives with his parents — a rather feudal father (who uses chest pains and threats of a heart attack to control the family when his orders don’t work), a quiet mother, a brother (who had to give up the girl he loved to marry the bride chosen for him by his father due to said heart attack) and sister-in-law. Badri (his onscreen entry, as he poses for a photo to be shared for matrimonial matchmaking purposes, is greeted by loud cheers by the audience) is now of marriageable age; at a wedding, he meets Vaidehi (Alia Bhatt), a feisty lass who isn’t smitten with the hero at first sight — as he clearly is. And so begin Badri’s attempts to woo Vaidehi. ‘Woo’ here for him means sending a marriage proposal her way through his broker buddy, and their respective parents, while Vaidehi herself seems quite set on bagging a job and not a hubby. She initially turns Badri down, it is she who reaches out to him with a proposal — if he helps her elder sister find a suitable match, she’ll consider tying the knot with him. Alia Bhatt character is the backbone of this story. She’s fierce and real; she’s pushed down but gets back up; she protects her dreams and for once, doesn’t get emotionally manipulated. The first half deals even with serious issues like the discrimination against the girl child, the dowry system and patriarchy with humour takes a heavier approach in the second, as Badri and Vaidehi navigate their shaky relationship. Together, Varun Dhawan and Alia Bhatt are the best thing that could have happened to our screens. The beautiful effortlessness of their onscreen companionship plasters a grin on your face. Dhawan as Badri is adorable; you instantly take to him. He even pulls off some high-drama scenes impressively. Bhatt, unsurprisingly, gives it her all, and her sincerity comes through. Sahil Vaid, Badri’s English-fearing friend, grabs his chance here and shines. But Badrinath Ki Dulhania remains the breeding ground of love between its two leads. In few words it is one time watch if you like light comedy with good music. 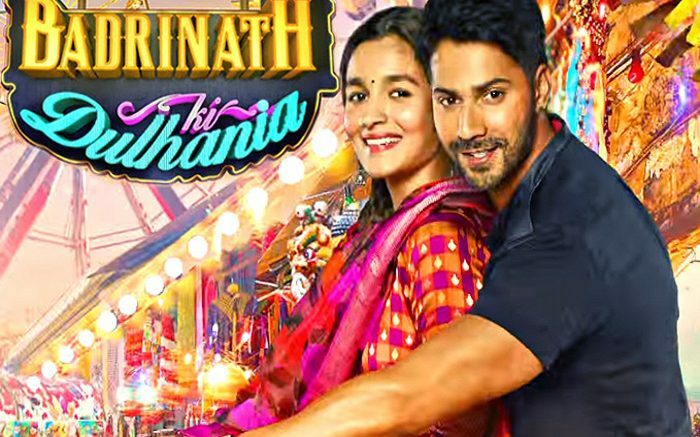 Be the first to comment on "Badrinath Ki Dulhania movie review: Varun Dhawan, Alia Bhatt offers light romantic comedy film"